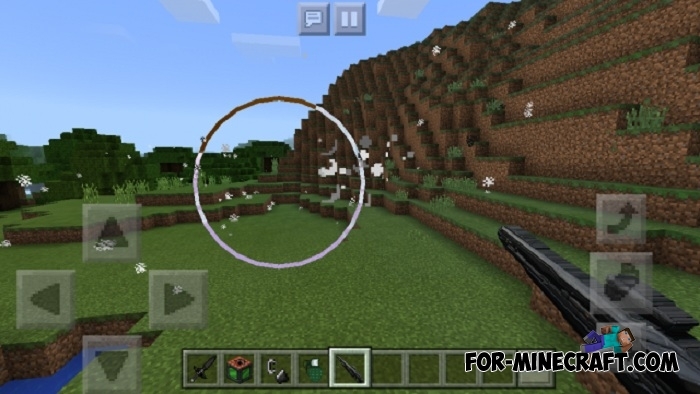 Too Many Explosives is a modification for Minecraft PE bringing more explosions. So you get a fantastic blaster and shells for it that can blow up the target, a new durable suit, grenades, food and potion for a quick recovery and health. The blaster requires shells that replaced snowballs, but crafting remained the same. Dynamite is the main feature of the mod because its power is enough to destroy a huge mansion. 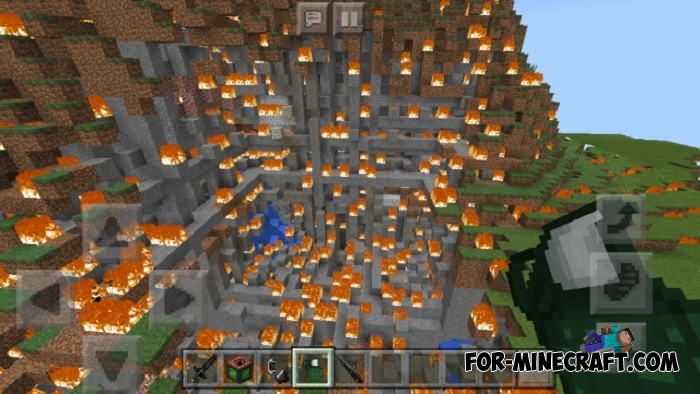 TNT texture has been changed to a more serious one, which shows how much the explosion will be stronger. Several mobs turned into bosses and increased, becoming twice as big. Use traps with dynamite to instantly destroy powerful enemies. 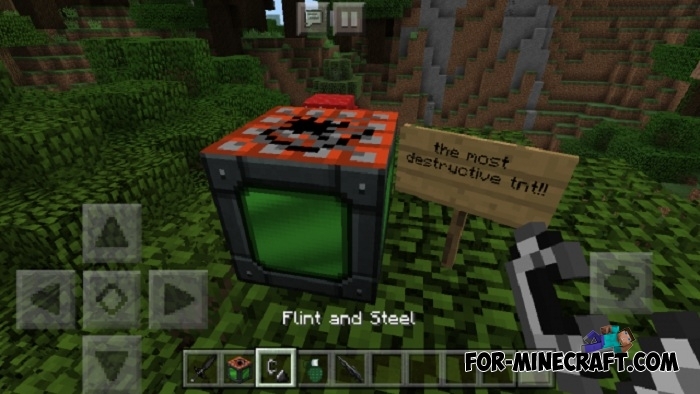 Dynamite Mod for Minecraft PE 1.0.0/1.0.3Dynamite Mod adds 6 new types of dynamite that replace the usual TNT block in MCPE 1.0.2..
Power Gems PE mod v2.1 for Minecraft PE 1.0/0.17.0Even diamond ore is not so interesting, because Power Gems PE mod adds about a dozen different new ores using which you can make a new special armor..
More TNT mod for Minecraft PE 0.14.0/0.14.1/0.14.2More TNT mod adds 10 new types of TNT blocks in Minecraft Pocket Edition 0.14.X. This explosive will cause different effects.